Customized implants are probably the most useful in the field of plastic surgery. I believe this new technology has great potential in both aesthetic and reconstructive plastic surgery. While I was researching various ways to apply this new technology to plastic surgery, I felt the need for clearer terminology and have coined below terms for medical 3D printing. In the past, surgical facial contouring mainly involved resection or shifting of bones. Unlike soft tissues like fat or skin, bone tissues could not be harvested from a donor site for grafting due to the high risk of donor site dysfunction and disfiguration. The term ‘3D Fit’ refers to surgical methods that improve on the limitations of traditional methods. 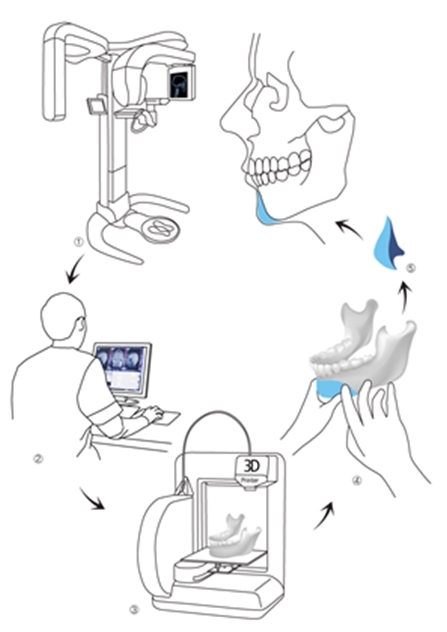 3D Fit encompasses three-dimensional simulation, modeling and manufacturing of a cutting guide for preventing excessive bone resection and customized bone replacement for excessive resection of facial bone. 4D Fit is a surgical method that improves upon 3D Fit. It combines 3D printing with biochemical and tissue engineering for providing biocompatible implant materials. For example, tissue replacement using scaffold and stem cells, biocompatible surface coating, and varying printing materials can lead to development of biocompatible implant or replacement materials. Previous facial contouring methods focused on resection. On the other hand, the concept of sculpting can be applied to plastic surgery thanks to the development of 3D printing. ‘Facial sculpting’ refers to all new surgical methods ranging from cutting to sculpting facial features. 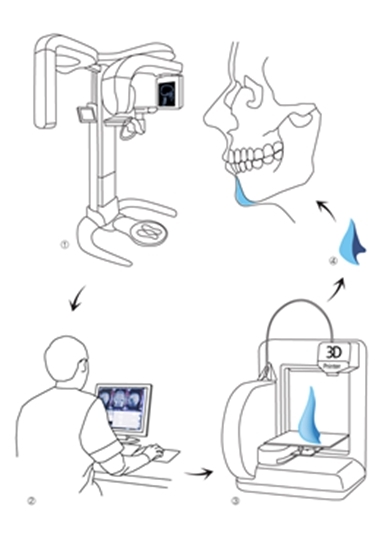 Along with terminology, I have conceptualized processes for manufacturing and implanting 3D Fit products as below. I devised this process for customizing the silicone implant, one of the most commonly used implant type in plastic surgery. It ensures safety of the material but has the disadvantage of a complicated manufacturing process. This may be the most practical method of producing bone replacement and has simper fabrication process compared to the first method. However, manual fabrication of the implant does not assure consistent quality due to varying degrees of the surgeon’s experience and dexterity. All minor processes of this method is automated. However, it requires a lot of medical knowledge for the modeling technician and the surgical outcome is determined by the modeling technician, not the surgeon. 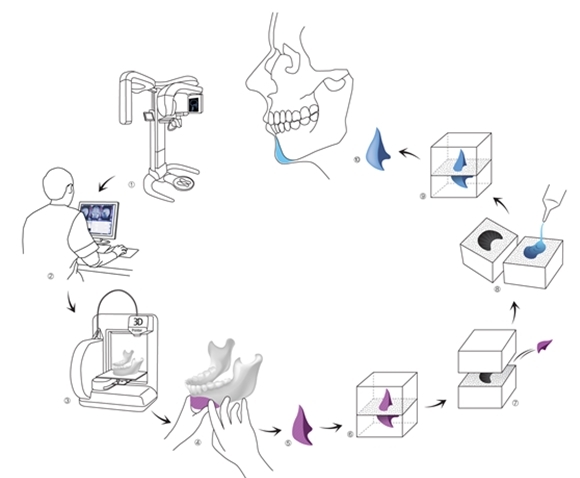 This method may not be widely applicable as very few materials are both 3D printable and implantable in the human body.